As a result of the distressed local housing market, many Phoenix homeowners who may have been tempted to buy a new property have instead decided to remodel their current home so it meets their needs (or simply to enjoy a fresh new look). 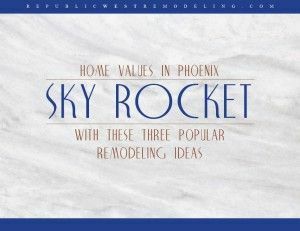 Several recent remodeling trends in Phoenix allow homeowners to update their homes and make them more practical and enjoyable, while at the same time boosting the property value (which will be a great advantage once the market bounces back). 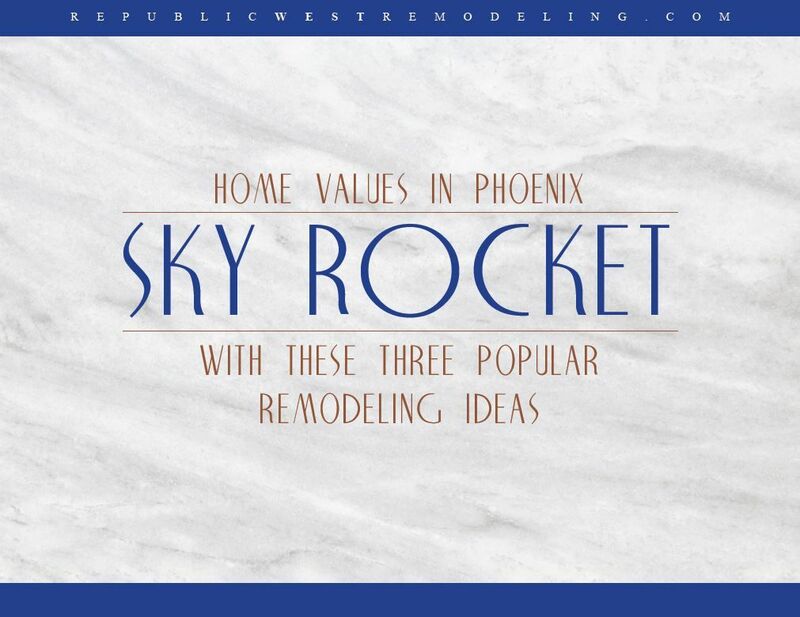 Republic West Remodeling has compiled a simple yet helpful report illustrating three popular home remodeling ideas that can help Phoenix home values skyrocket. This report provides helpful suggestions as to why you should consider these remodeling options and how to make them work for your home. In addition, the report backs up the suggestions with research and statistics supporting the benefits of these particular remodeling projects. The report will be available soon on the Republic West Remodeling website—so stay tuned for updates!